After all the citrus over the last couple of weeks it was definitely time for some chocolate. I have a complete weakness for anything choc-mint flavoured and these cookies do not disappoint. Crunchy and crumbly with delicious ganache filling it’s hard to stop at one. The recipe is simple enough but it is time consuming, mostly due to the waiting times for each step to set or cool. If you can spare the time these rich biscuits make for great gifts and the layers of chocolate make quite a heavy treat so you only need a couple per person. I wanted to take some pictures of dipping the cookies into the melted chocolate, but it was such a messy process I didn’t think they would look too glamorous! I would recommend using simple cookie shapes to help make the dipping process easier and ensuring you have everything set out and ready to go before you start. As you can see I did just drizzle some cookies with chocolate instead of coating them which was much easier, but the overall taste was better when coated in a thick layer. In a large bowl beat butter, sugar and vanilla until light and fluffy, approximately 5 minutes. Sift in the flours and cocoa and beat on slow speed until combined. Gather the mixture together and press into 4 small disks. 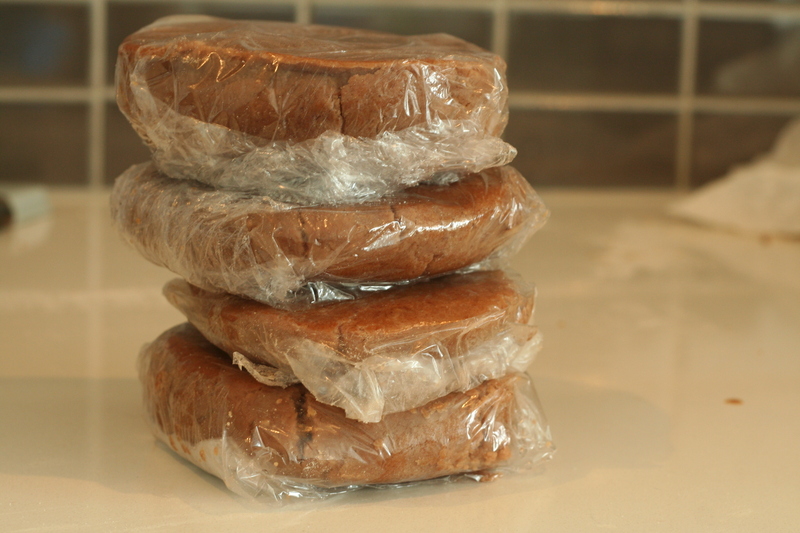 Cover with clingwrap and refrigerate for at least 15 minutes. 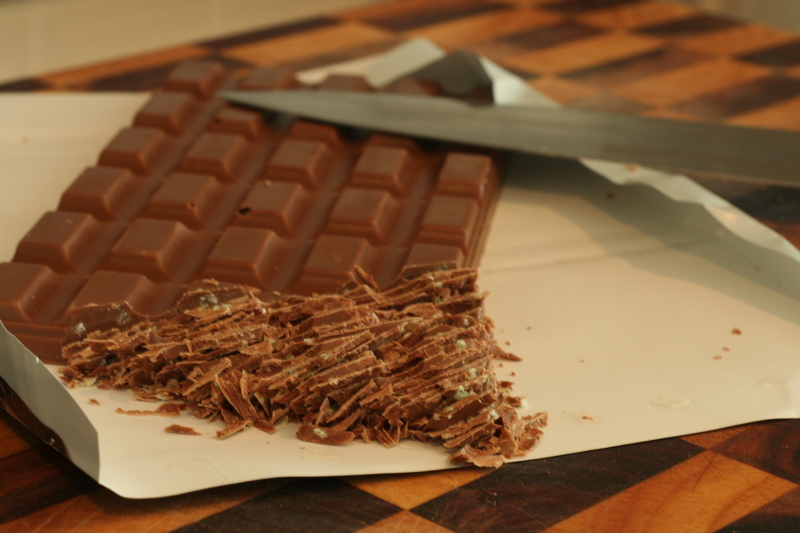 While you’re waiting make the ganache by finely chopping the mint chocolate and placing in a bowl. Heat the cream in a small saucepan until almost boiling. Pour the cream over the chocolate and let sit without stirring for 2 minutes. Slowly whisk in the cream and continue to whisk until the mixture is smooth. Cover with clingwrap and refrigerate until needed. Preheat the oven to 160° and prepare trays with baking paper. 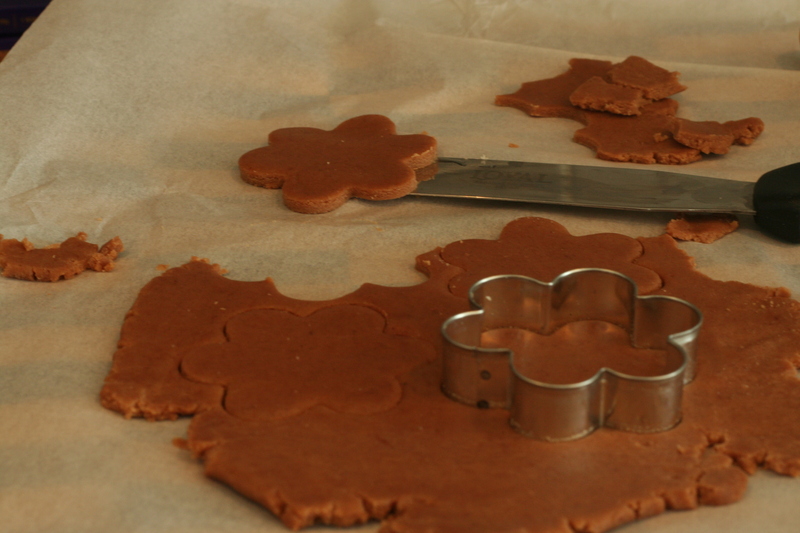 Roll out a disc of dough to 3mm thick and use a cookie cutter to cut out shapes. 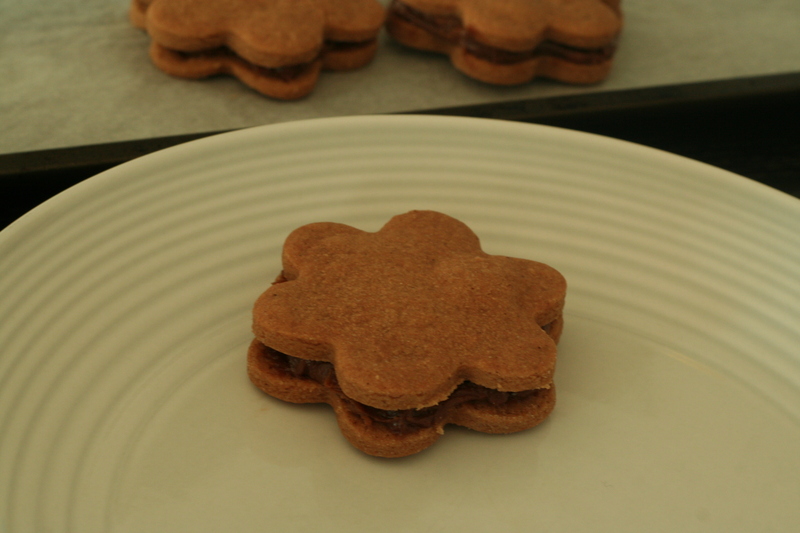 I would recommend simple shapes as the dough is pretty fragile (and it will make coating them with chocolate easier). Place on trays and bake for 8-10 minutes or until firm. Transfer to wire racks and allow to cool completely. 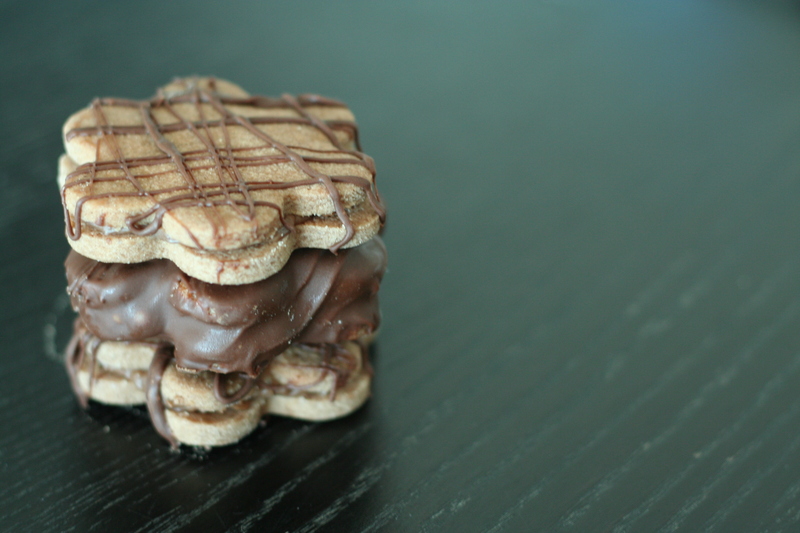 When cool, spread ganache on cookies and sandwich together. Pace back in fridge for 15 minutes or until set. Using a bowl set over a pan of simmering water, melt the dark and milk chocolate and add the peppermint essence. 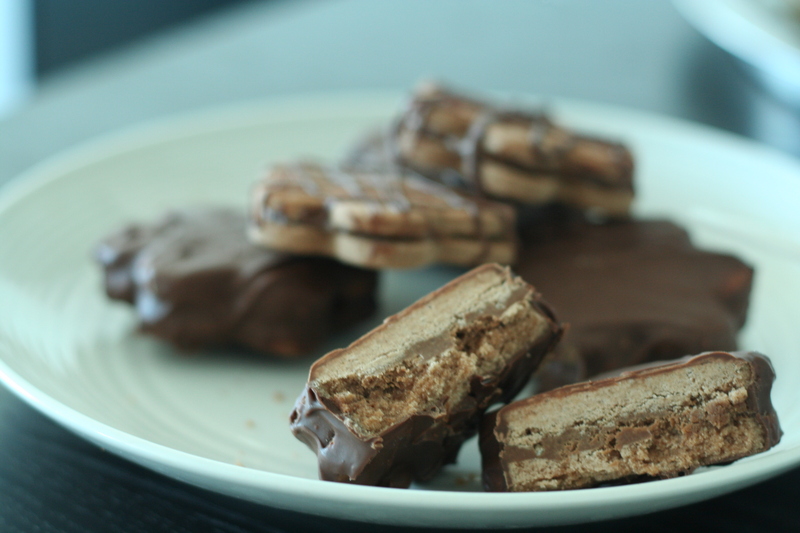 Dip cookies in chocolate and cover completely, scraping off any excess. Allow to set on wire racks. Keep cookies in an airtight container, preferably in the fridge. OMG, these look sooo good! Thank you for sharing! I have a weakness over anything mint, especially if they are marry in chocolate. This sounds absolutely amazing! I’ll never have to buy dark chocolate and mint Tim Tams ever again! Chocolate and mint are a match made in heaven. Can’t wait to try these darling cookies! These look sooo good – I’d not thought of putting mint into a biscuit but will definitely be giving it a try!